Check out this little selection of Winter Midi Dresses! I do find that a good winter dress is hard to find. It’s that one time of the year that wearing dresses can be quite tough. If you love wearing a dress in the daytime, either for work or just casual wear, staying warm and looking stylish can be tricky, but there are some great pieces out there, and some good tips for layering on cooler days. So with that in mind, here are some of my favourite top finds for winter midi dresses to give you the inspiration when you need a wardrobe pick me up. 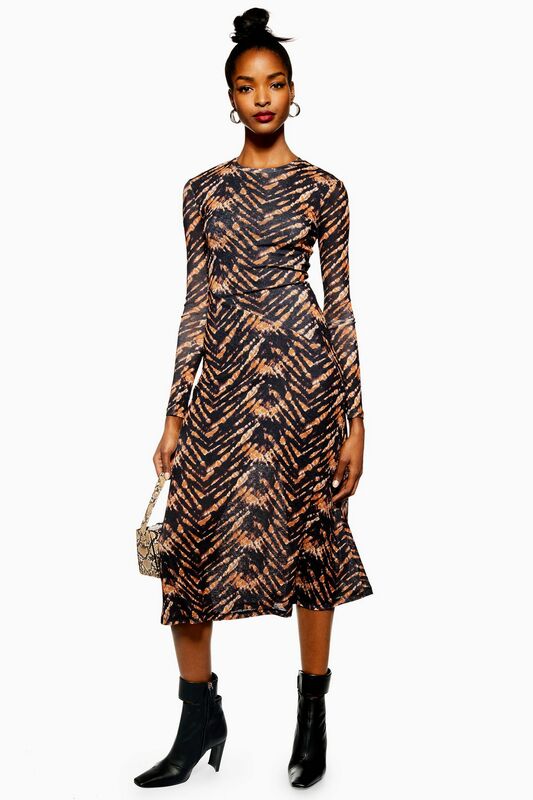 I’ve actually just spotted this winter midi dress from M&S in the store. At the time of writing it was sold out online but they had plenty in my local store, so well worth a look. Styled on the model in store with a yellow polo neck, it’s a great easy daytime wear and would look great with boots or trainers. I like the round next and soft flow of the skirt on this And Other Stories dress. The slit on the leg gives it a little edge and with high boots, or black tights and brogues, it could look very chic. Marks pull it out of the bag again with this waisted long sleeve dress. It’s a version of the popular dress and jumpsuit that hit us in the summer (you can see it being worn here by Antonia) and it’s actually very flattering on. I’m loving this long sleeve version and busy ochre print – layer with a thermal vest underneath and some warm tights for the coldest of weather. Or pop a slouchy black jumper over the top for a very different, casual look. You may have seen ALL of the other versions of this Topshop dress that have been around for 6 months or so now, but I love this teal version. Perfect to take you from winter to spring in one easy style. If the slits aren’t for you, sew them up, then wear again with a thin polo underneath and some tights and boots, or make it ultra casual with a pair of trainers and denim jacket. 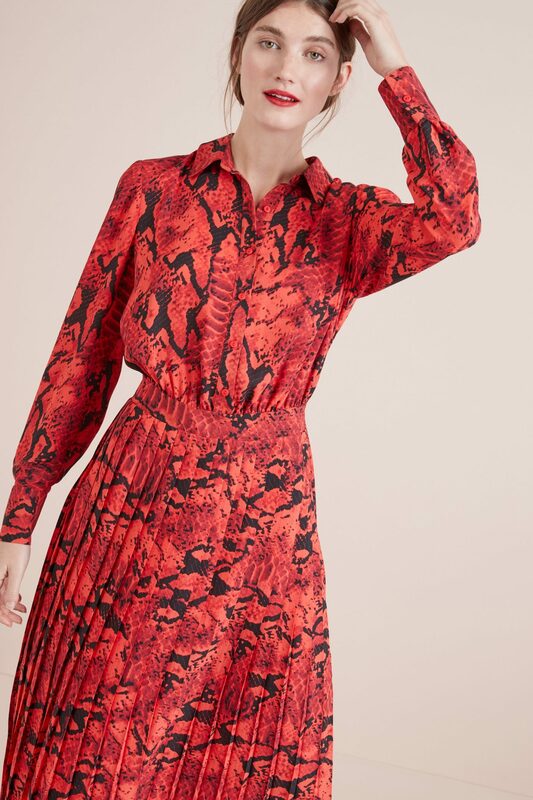 Tie Dye looks like the next big thing in the coming season so it was no surprise to find this winter midi dress over at Topshop in exactly that print. A great dress for either daytime or evening, you’ll need a layer or two with this one, but it’s worth it. I know a lot of people don’t look at Next, but as a shorter gal, I love a little Next Petite range and you do find the odd cool item there – see this dress on my other blog from Next which I love! I spotted this Red pleated shirt midi and thought it was a great winter midi dress, again layered up if necessary but ideal with white trainers or black knee length boots. 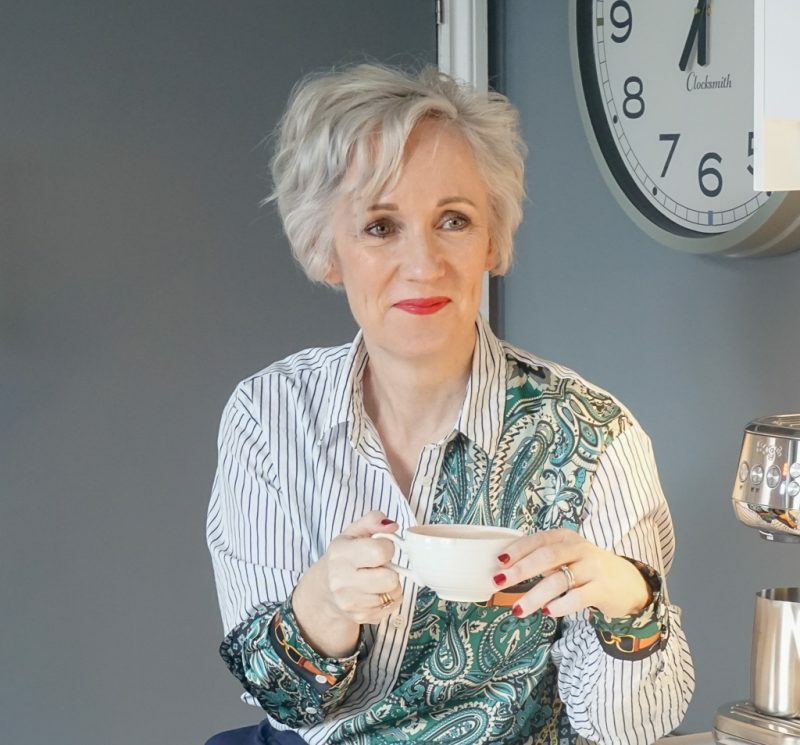 Something slightly different here from Stradivarius, but you can find some real bargains and great styles here so I always give it a browse. I love the colour combo here and boxy style which looks great with a chunky belt. Perhaps a style for the slightly taller ladies amongst us but a little more romantic and softer than my other choices. And finally we finish with another M&S number. They really are killing in the dress niche right now. This red animal shift dress would look great as it is, or drawn in with a belt if you want to show off your waist. I’m loving the high neck and bright, bold print – just add a long sleeve thermal layer or T to give you that extra bit of warmth. 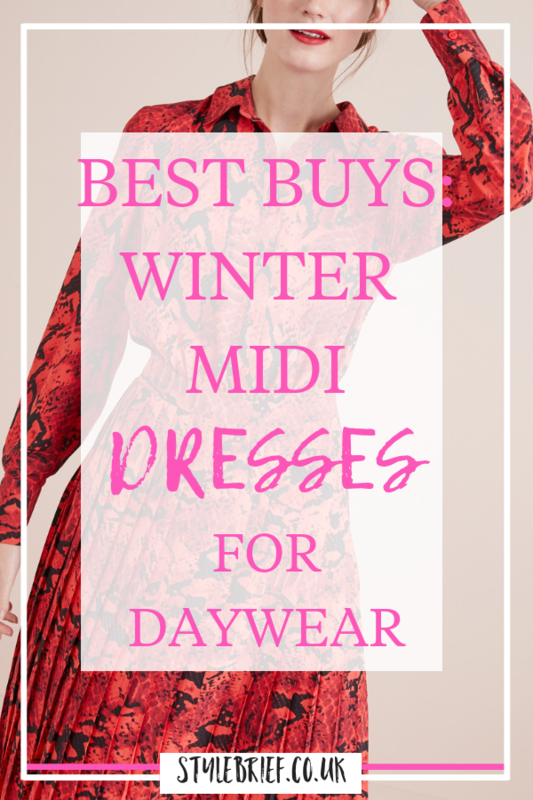 What do you think of my collection of winter midi dresses? As I’ve said, they’re really easy to wear with a thin polo neck underneath or a blazer or biker over the top, before you add your winter coat. Love these choices. I have a couple this year and love them. M&S is always my favourite place to pick them up for sure. I love how you can wear boots, trainers or shoes with them.